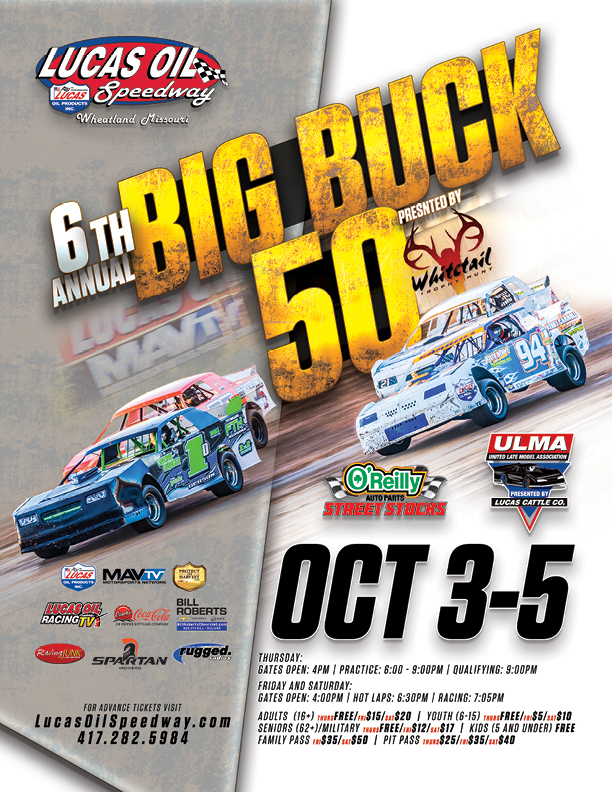 The opening night of the 6th Annual Street Stock Big Buck 50 Presented by Whitetail Trophy Hunt gets underway with an open practice session from6-9pm followed by Street Stock qualifying to set Friday's heat race lineups as drivers work their way towards the $10,000 to win main event to be held on Saturday. 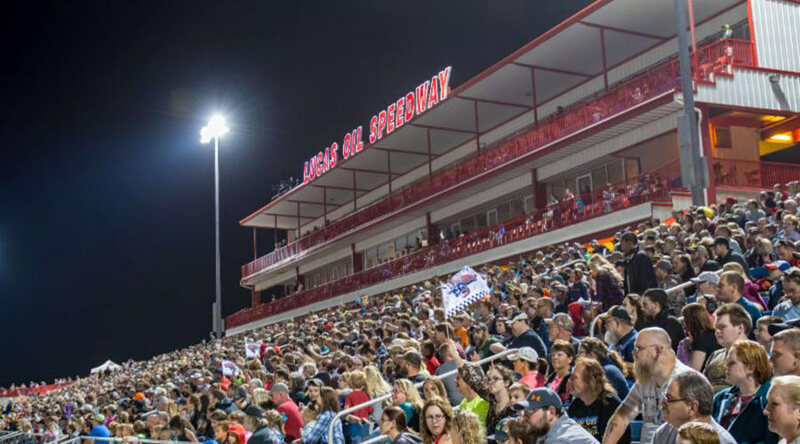 Limited concessions will be open on the pit side only. Live music in the Diamond Bar will follow the qualifying session. 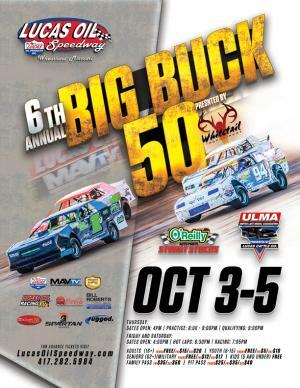 Gates open at 4:00, Practice from 6-9pm, qualifying to follow.